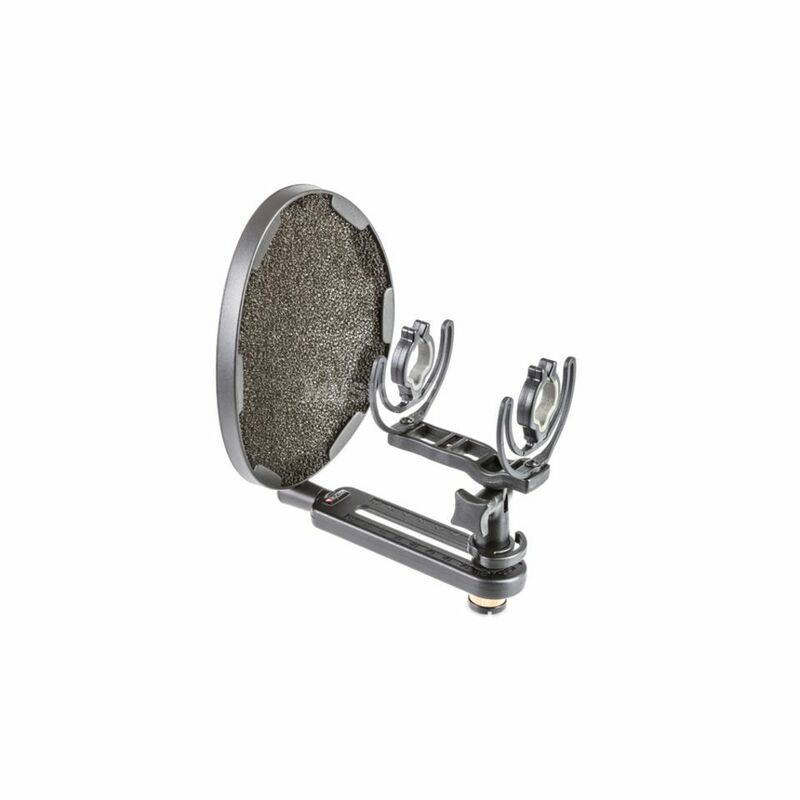 Rycotes InVision INV-7 is a Pop Filter Kit, consisting of a microphone holder for shotgun microphones and a pop filter with rail. The holder is suitable for microphones with a diameter of 18 to 25 mm and a maximum length of 250 mm and prevents unwanted grip/cable noises. The pop filter has been carefully designed to provide attenuation of up to 20dB at low frequencies, unwanted and muffled noise without negatively affecting the high frequencies. The complete set can also be attached to 3/8" and 5/8" microphone stands, adapters for both types are included.